A tactical WW2 experience for the discerning gamer. Day of Infamy, whose life began as a mod for the tactical FPS Insurgency, has now started a new life, free from the burden of its ancestry. Someday down the road, Day of Infamy will be walking down the street, and a stranger will say, "Hey, aren't you that mod? ", and it will respond, "No sir/madam, I'm a real life video game." Huzzah! 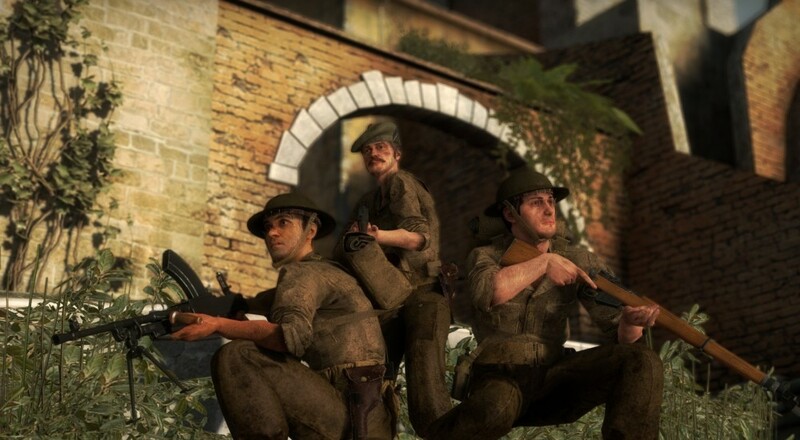 DoI shares many of its predecessor's traits, such as a tactical bent and eight player online co-op, but it's set in World War 2 instead of the modern era. Originally created in 2015 as the aforementioned mod, it eventually made its way to Steam's Early Access program. Today, it moves out of Early Access and into a full release. As with Insurgency, the developers will probably continue adding content and making minor tweaks as time goes on, but the game is now considered to be in a largely complete state. The game's co-op mode, which I played off and on when the game was in Early Access, offers three modes and two difficulty modes for you and your squad to engage in throughout the various maps. Even before the game was complete, the co-op was quite a bit of fun, provided you're looking for a slower-paced (but still a few notches above ARMA) experience. If you're curious to see a bit of gameplay, New World Interactive have set up a livestream event starting at 2PM EST to show it off. Page created in 2.3095 seconds.